You ever look up your neighborhood on Google’s Earth Maps, you know, just to see what your house looks like from above – and to casually spy on your neighbors? At some point our curiosity takes over and we go online to see what images have been captured by Google that represent us well – and those we know leave us in a compromising position. What if we could click on to an Earth Maps that showed us snapshots of what each author is doing to market his or her book? Okay, so such an app doesn’t yet exist but don’t put it beyond our tech giants to come up with such a thing. Still, imagine, if you could see what authors are doing to brand themselves and promote their books? Would seeing someone hustling their wares inspire you – or would viewing a slothful author help you justify your positon of being inactive when it comes to book marketing? To succeed as an author, you need to succeed at book marketing. 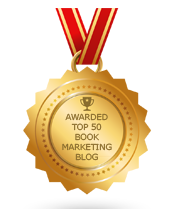 To succeed at book marketing you need to have a sense of all the things that you could be doing – and to be aware that you have many competing authors seeking to do the very same things. 1. Do what you are capable of doing. If speaking before groups is your strongest skill, pursue speaking engagements. If tweeting is your game, play it every day. If writing byline articles is your strength, contact publications or websites immediately. 2. Hire professionals to fill in the blanks. You may lack skills, desires, or time to execute certain aspects of a solid book marketing campaign. That’s okay – subcontract it out. 3. Experiment and see what works. A few press releases here, a couple of YouTube videos there, and a sprinkling of Facebook ads over here – try a little of everything to see what gets traction. 4. Mirror what successful authors do. So whether you have the skills, knowledge time, money, or desire to do something, do whatever other authors are doing if it works for them. 5. Do nothing and hope to get discovered. Good luck with that strategy of praying for a miracle. I suspect if we had Earth Maps covering every author we would see many that do little or nothing to promote their books. They give up too soon, don’t give it their all, and choose to pursue the wrong things. But then we’d see other authors who are seriously trying to break through the clutter, but they just need some direction, a little confidence, and a lucky break. Whatever other authors do – or don’t do – is irrelevant. You need to simply give it your all and not give a crap what other authors are doing. What Should I Do Today To Publicize My Book?